The luxury cars are very affordable now in India and it is no longer a dream for the interested buyers. All luxury companies are launching their vehicles at a very reasonable price range. In this respect some German companies are Audi, BMW, Volkswagen and Mercedes are doing impressive business and trying to give a very tough competition to each other. In this respect, the BMW 1 Series is launched in India with the starting price tag of Rs. 20.9lakh (Ex-showroom, New Delhi). The company has said that the BMW 1 Series price is affordable and it can be purchased by the higher middle class. BMW cars are famous for their luxurious designs and advanced features. The company has launched it with one 1.5litre petrol engine and three 2.0litre diesel engine with the displacement of 1598cc and 1995cc respectively. The all newly launched model is mated with an eight speed automatic gear box for the smooth and power packed performance. The petrol engine has a capability to churn out 136bhp of power and 220Nm of torque and at the same time, diesel mill can generate 105bhp of power and 320Nm of torque, which is quite impressive. The hatchback is able to return the maximum fuel-economy of the petrol variant, which is 16.20kmpl and the diesel engine can deliver a mileage of 20.50kmpl. The company has provided it with various features for which it is globally famous. 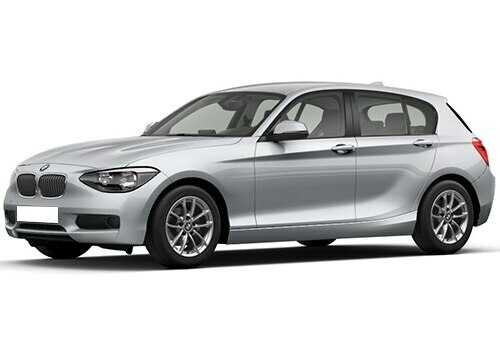 The BMW 1 Series features are attractive as well as comfortable. There are a lot of safety aspects in the hatchback like six airbags, ABS (anti lock braking system), CBC (cornering brake control), DSC, engine immobilizer and many others. Apart from these, the company has given various other aspects too, which gives it comfort, while sitting inside the cabin. It is blessed with very cushioning seats, multi functional steering wheel with leather covered and audio mounted control buttons and it gives the whole interior an impressive and very classy look. In addition, it is loaded with some other features such as electrical glass roof, floor mats, light package and many other such aspects. As far as BMW 1 Series pictures are concerned, they are quite impressive and a set of 17 inches of alloy wheels give it sporty look and these wheels are covered with tubeless tires. The hatchback is loaded with fog lamps both front and rear, automatic adjustable outside rearview mirror, grille, bumper and headlight cluster and other things, which makes the pictures perfect and aggressive and BMW group is planning to launch the BMW 1 Series hatchback car in India 2013.